Alexandra Higgins has joined proxy solicitation firm Okapi Partners as managing director, with a focus on governance and compensation issues, as well as other areas of ESG. She was previously with ISS Corporate Solutions, where she served as vice president and head of US partner advisory services, according to a statement announcing her appointment at Okapi. ISS Corporate Solutions did not respond to a request for comment. 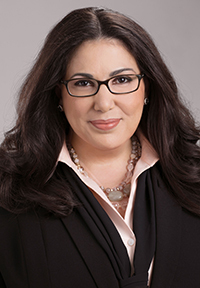 During her time at ISS Corporate Solutions, Higgins managed advisory services for US professional services firms on ISS policy, corporate governance issues, equity plan disclosure and shareholder activism. Before joining the firm, she was a journalist at CQ Roll Call where she covered corporate governance regulation and activist investor campaigns. Here Higgins talks ESG with IR Magazine. How have you seen engagement between investors and issuers on ESG issues evolve in recent years? We have seen increased engagement between investors and issuers, and this is largely driven by increased awareness of how ESG impacts long-term performance. A rise in engagement from shareholders on ESG issues has forced the dialogue between issuers and investors. Although it seems investors are increasingly looking for information on ESG, many companies say these issues are rarely raised in meetings. What are your thoughts on this? Historically, issues regarding ESG have been raised reactively – for example, in response to shareholder proposals or activist investors. In recent years, however, investors have the expectation that these issues will be addressed directly and proactively by issuers, especially regarding proxy voting decisions. What are the top three ESG issues companies should be thinking about – and preparing to talk about with investors – over the next 12 months? The top three issues we believe companies should be thinking about are: board diversity, including gender diversity; climate change – especially due to the US opting out of the Paris Climate Accord – including the two-degree scenario proposals from shareholders; and cyber-security. When it comes to ESG, compensation and other governance issues, is this something that should fall within the remit of IROs? And if not, how much involvement should the IR department have here? This should really be within the purview of the board. IROs should be involved in initial outreach, be very well versed on these issues and conversant about resources – and have the right resources, such as outside advisers, to [help them] think about these issues and how to respond to these issues. Finally, in your experience, what do investors want to see from companies in terms of engagement on these issues? How would you describe best practice for ESG engagement? Investors want to see proactive engagement. This includes the adoption of policies, rather than waiting for shareholders to request – either directly to the company or through shareholder proposals – that companies adopt them. Investors expect companies to have these policies in place, and best practice really depends on the size of the company and the industry they’re in. Firms need to recognize the expectations of investors with respect to their industries and demonstrate that they have the experience and have thought about how these practices are of value.